Irresistible designs at your fingertips! Spruce up your spaces and rev up the fun with a convenient Variety Pack of Terrific Trimmers and Bolder Borders. Vibrant, contemporary designs create cheerful, inspiring classrooms, add pizzazz to parties and events, inspire clever hats 'n crowns, and dress up storage containers, cubbies, and shelves. Layer patterns on solids, sparkles, or metallics for extra WOW! Durable and reusable. 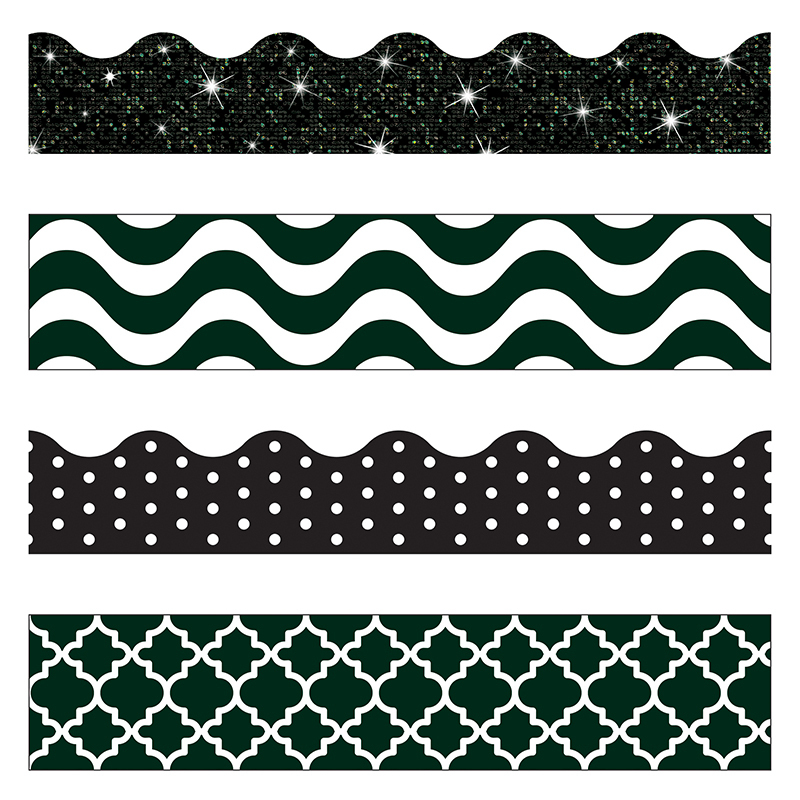 Each pack includes Black Sparkle Terrific Trimmers, Moroccan Black Bolder Borders, Wavy Black Bolder Borders, and Polka Dots Black Terrific Trimmers. 143' per pack. Includes 2 packs.